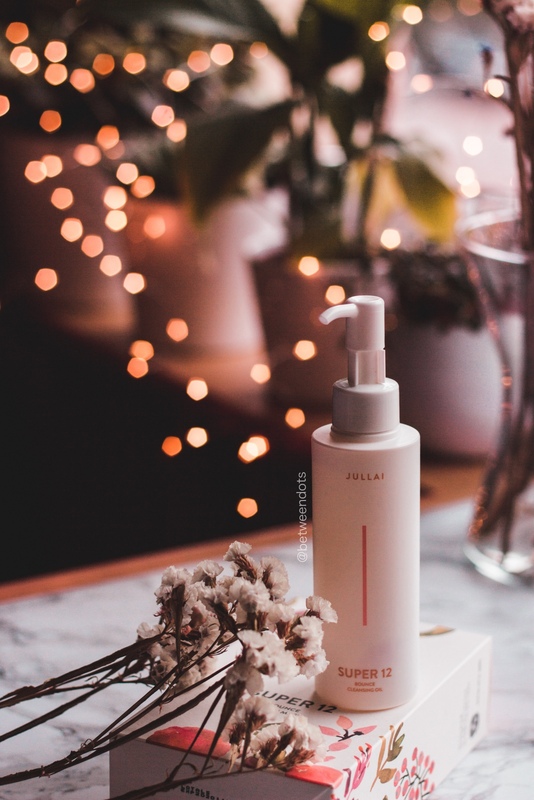 I started my skincare routine with Jullai Super 12 Bounce Cleansing Oil. I can admit that I usually go for balm cleansers than oil cleansers but this is a 2nd Cleansing Oil that I actually like. The formula is quite thin and lightweight what makes it really good for oily skin but I guess dry skin can be satisfied with this mix as well. But what's inside of the product? There are some essential oils but there are also lots of good natural oils that make the scent - for me the scent is really hard to smell which is a good thing. The base of this oil is Zea Mays (Corn) Germ Oil, it's a natural emollient. Another ingredient which you can find in many cleansing oils and personally I'm not really a fan of it - Hydrogenated Soybean Oil, which is also an emollient but it's a humectant as well. 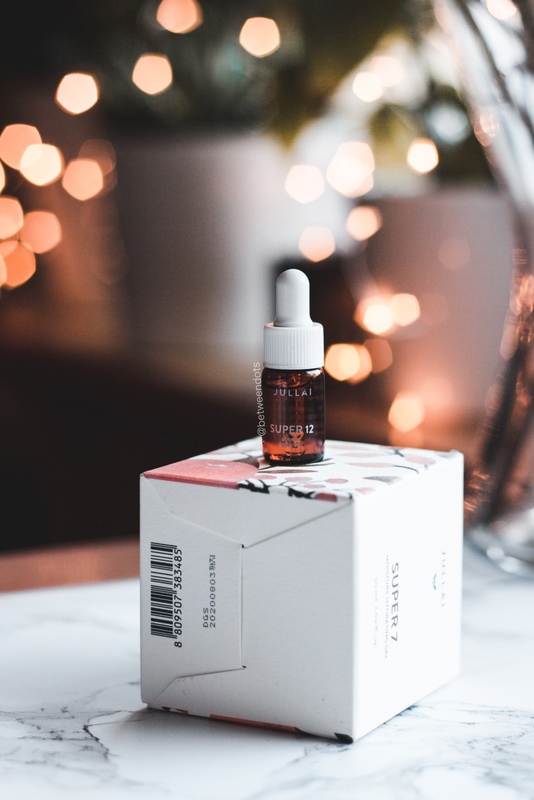 Carthamus Tinctorius (Safflower) Seed Oil is an oil on which I want to focus the most, it made of linoleic acid in 70% which makes it good for acne-prone skin since acne skin usually goes with lack of linoleic acid. But this product is not only about oils but ingredients that can be helpful for the skin like Camellia Sinensis Leaf Extract - a green tea leaf extract and an antioxidant. Scutellaria Baicalensis Root Extract - an antibacterial humectant that can brighten your skin, it's known for its use in Traditional Chinese Herbal Medicine. Glycyrrhiza Glabra (Licorice) Root Extract is another ingredient used for acne-prone skin, it doesn't only help with acne but also lightens the skin. Lactobacillus Ferment is still an ingredient which we learn more every day but the fermentation process itself make it easier for the ingredient to help the skin but it's all about breaking down the molecules and make the product easier to absorb. 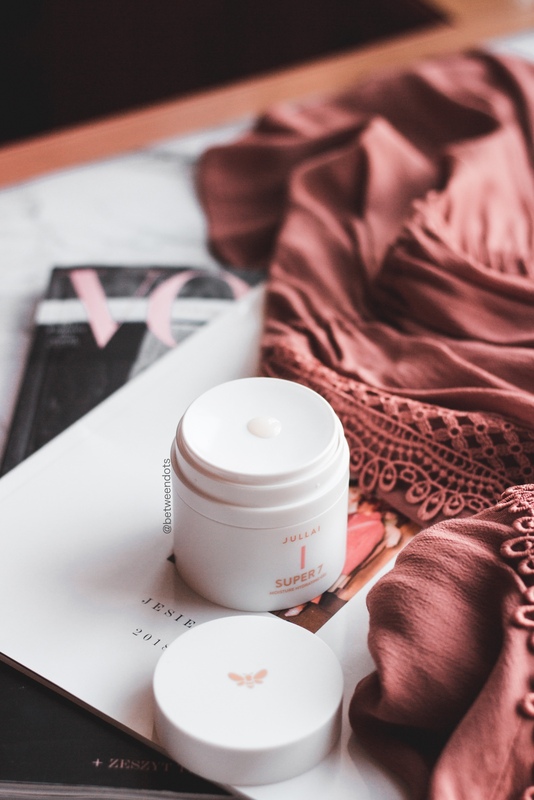 I'm also surprised to see in this product Squalene - another natural emollient that can act as an antioxidant thanks to the double bonding - because of that it's also more stable than Squalane. There are some essential oils but it's a personal thing - I didn't react to this oil but every person has it different. Does it work with cleaning the makeup? Yes, it works very well, it also works great for a face massage since it's very thin and it spreads on the skin easily but I do not see it as the only cleanser in my routine - I just need foam cleanser after. There are some ingredients that acne-prone skin might not like but since it's a cleansing oil - I do not care about it that much. 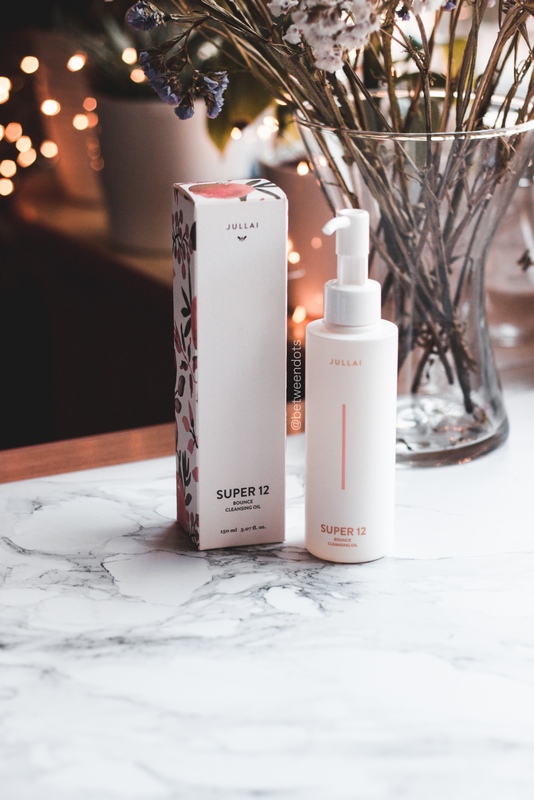 The Jullai Super 12 Bounce Cleansing Oil might seem pricey because it costs $38 for 150 ml on Glowrecipe but for such mix of the ingredients, it's really worth a try. This toner is a product that I still have mixed feelings about. Before I used it for the first time some people told me that this product has a very thick texture and yes, the texture is so pretty - thick with some small balls - blue oil capsules that are quite tricky to pop and make them easy to absorb by the skin, their role is to prevent the loss of the moisture. The scent in this product is also delicate but the formula makes it quite tricky to get the product from the packaging. Inside besides the superfood complex made out of ingredients such as Chia Seed Extract, Sweet Almond Extract, Artichoke Leaf Extract, Sea Buckthorn Water and 8 other ingredients. 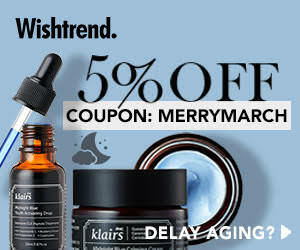 This product is told to be antiwrinkle, Hydrolyzed Collagen which is a great moisturizer. 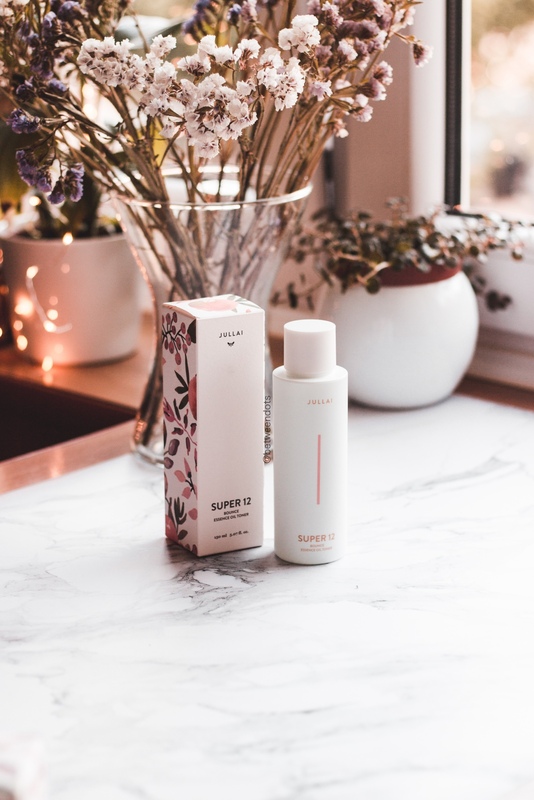 Adenosine found in this product is one of my favourite ingredients - it can help with collagen production so the skin elasticity will be improved but it also helps with pigmentation and fresh wounds. The product contains Olea Europaea (Olive) Fruit Oil which is a moisturizing oil, there's also a Jojoba Oil - an emollient that is very similar to human sebum. There's Squalene as well which makes me really happy. Polyglutamic Acid is told to be a phenomenal moisturizer, it's accompanied by Sodium Hyaluronate - another moisturizer. In general, this product isn't bad, even if there's Alcohol which you might be scared of but in such amount, it's used to make the skin better at absorbing the product. It's a great toner but it still needs a good moisturizer to seal the moisture in the skin and prevent all this lovely moisture we get from the evaporation. There are some PEG-s as well. Still, my opinion is mixed and I think that this toner can be a good base for homemade masks. The packaging might be tricky and that might be the reason why it's so hard to get the product from the bottle but the texture is so good that I might get this product again not only because my skin felt soft and moist after using the product but because of this lovely texture. The price of Jullai Super 12 Bounce Oil Toner is almost the same as for cleansing oil $37 for 150 ml on Glowrecipe. The cream is probably my favourite product. This cream is not made of Super 12 Complex but Super 7 Complex so it's a different line than other products which I've shown you today. 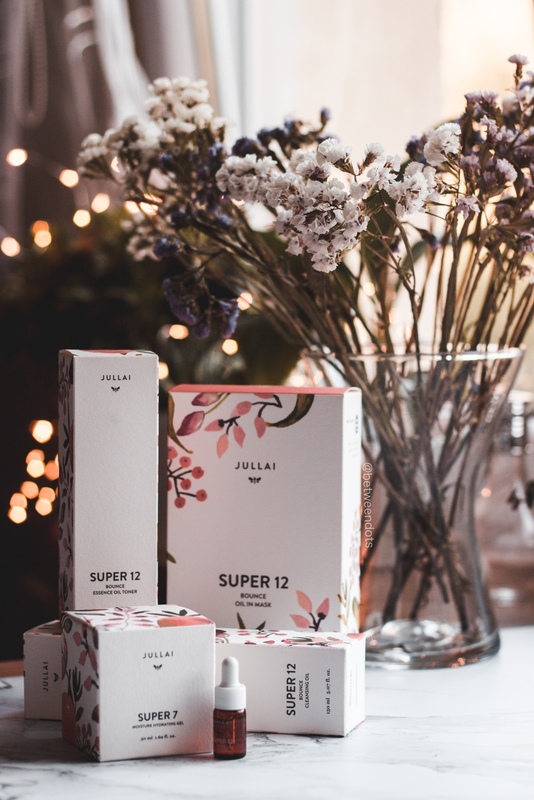 Super 7 Complex is made out of Quinoa Extract, Chia Seed Extract, Oatmeal Extract, Flowering Quince Extract, Pumpkin Seed Extract, Baobab Seed Extract and Linseed Extract. This complex is told to be moisturizing. I have to admit, I had an issue with opening this cream since I'm not used to such a clever solution which is hiding the cream and giving the customer a product with an applicator that protects the product from bacteria which you can transfer to the cream with your finger. There are some good ingredients inside besides Super 7 Complex like Adansonia Digitata Seed Extract that helps with wound healing and Avena Sativa (Oat) Meal Extract an anti-ageing ingredient that can be good for both Oily and Dry skin types. Curcuma Longa (Turmeric) Root Extract found in this cream has anti-inflammatory properties, it soothes the skin, it can brighten the skin as well and it's told that it might be an antioxidant. Tocopherol also knew as Vitamin E is a natural preservative but also a good moisturizer. I'm surprised to see here linseed oil which is an emollient full of Omega-3 fatty acids. It can be occlusive but some acne-prone skin might be triggered by this ingredient since it contains a lot of oleic acid and less linoleic acid. 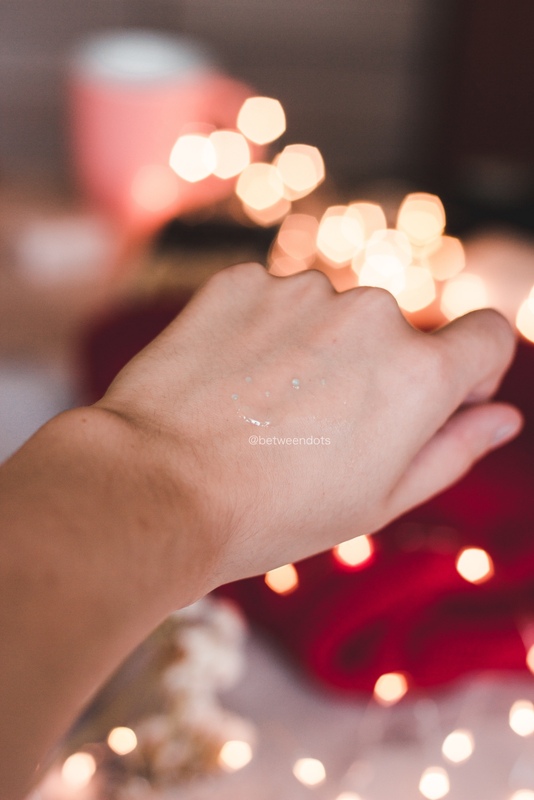 In general, it's a cream which I really liked to use during the summer but because of the small number of occlusives, I feel like during the winter I'll have to add some barrier cream as well. It's definitely a product that is ideal for the summer There are some PEG-s and natural oils/extracts but again it's an individual thing how you react to them. Overall, a big plus for the brand for the packaging. 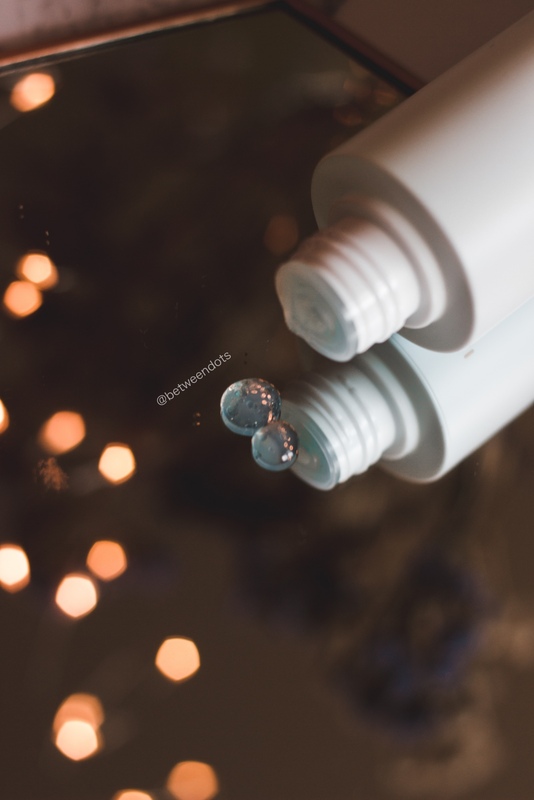 The Jullai Super 7 Moisture Hydrating Gel might be a bit more expensive than other products because it costs $45 for 50 ml on Glowrecipe but a small amount can help you cover the entire face. Honestly, using this mask was a bit sad because just look at this pretty packaging! I literally didn't want to destroy it. The mask contains 2 parts - upper and lower face part which somehow fits my skin not perfect but not bad. 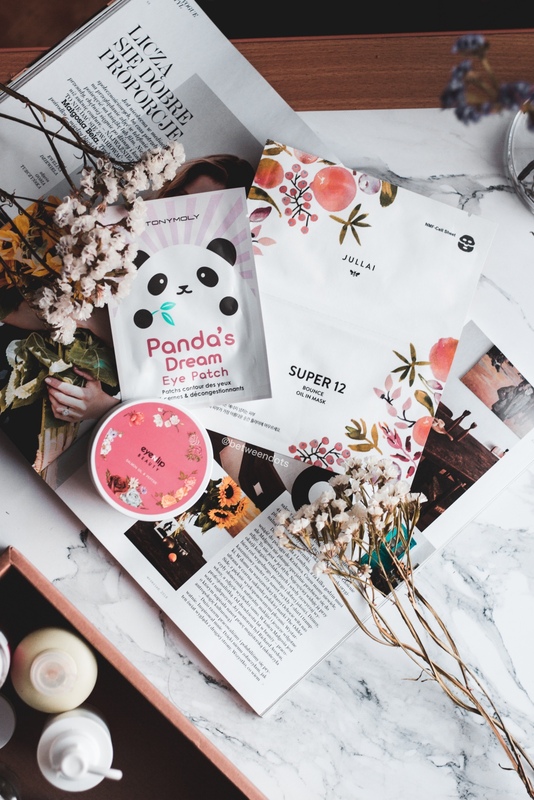 We're back to Super 12 Complex, but besides that, you can find ingredients like Hydroxyacetophenone which is an antioxidant and soothing ingredient. Allantoin - another soothing ingredient that can be useful after a sunburn, it also promotes wound healing. Shea Butter - a natural butter and an emollient full of vitamins. What's surprising, there's also Caffeine - an antioxidant which is actually good for the under eye area. Avocado Oil is another antioxidant and emollient, it's especially good for dry skin since it's full of oleic acid. The last ingredient is Hippophae Rhamnoides Fruit Oil - a Sea Buckthorn Fruit Oil which is an ingredient that I know from my "home area" in Slavic countries Sea Buckthorn is an important ingredient - not only because of the fruits but also in traditional medicine. This oil is an antioxidant and emollient. It helps with skin regeneration. The mask is not only about pretty packaging but the mask is full of essence which I was able to save and use again, after 20 minutes I ended up putting the mask on my neck and then for couple minutes on my legs since I need more moisture there. It's really moisturizing and I felt like for the summer it might be too much but for winter it's going to be ideal. 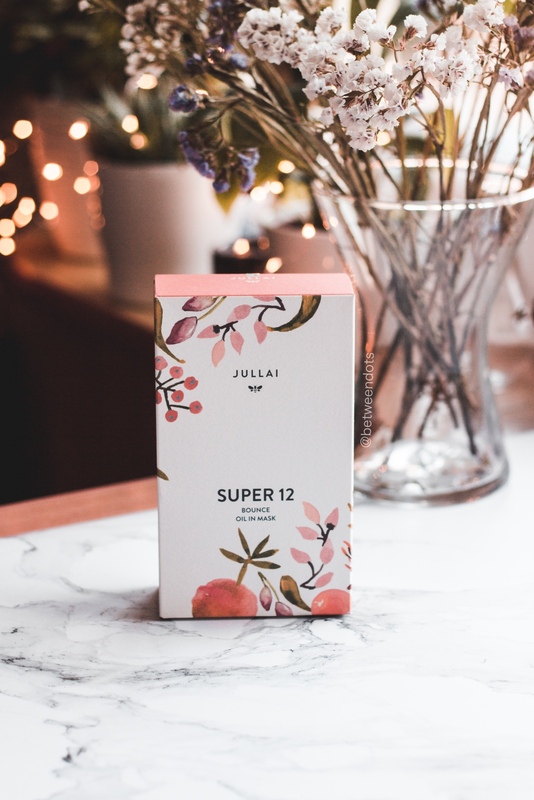 The box contains 6 masks (if I remember it well) and Jullai Super 12 Bounce Oil single mask set costs $7 on Glowrecipe. I also tried a sample of the oil, unfortunately, you can't get this product from Glow Recipe (yet, maybe one day it will) but it's one of my favourite oils. This Thin Oil is based on bouncing complex made out of natural ingredients such as algae, chia extract, sea buckthorn oil and other fruits, veggies and grains. If it comes to oil, it contains Olive Oil, Lemon Oil, Palmarosa Oil, Apple Seed Oil, Peach Kernel Oil, Hydrogenated Vegetable Oil, Andiroba Oil, Acai Oil, Sea Buckthorn Oil and Squalane. I've got sensitive combo skin but my skin totally loves the oil, the scent is mild and I can't really smell it but application process is easy and the oil is absorbed quickly absorbed without leaving skin oily, still I do not recommend to use it under the makeup since my MAC Studio Fix foundation didn't want to work with it. This product is a sample just to clarify, but this sample was enough to use the oil every day for 2 weeks. My skin after every use was hydrated and soft. I had neither comedogenic not allergic reaction. You can use oil on its own but Jullai also recommends to blend it with fluid. Will I buy it again? Yes, I plan to order the full version of the oil - but I'm sure finding it will be bit tricky. 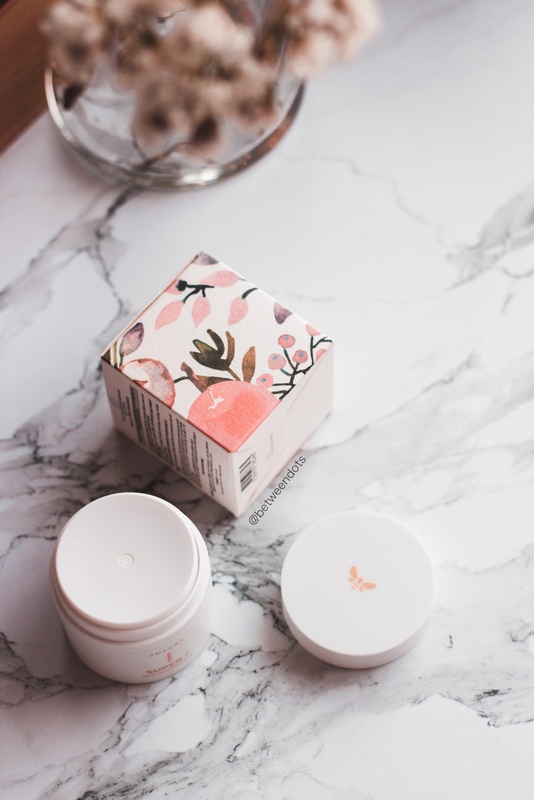 The brand got me with amazing design, just look at how cute the packaging is! 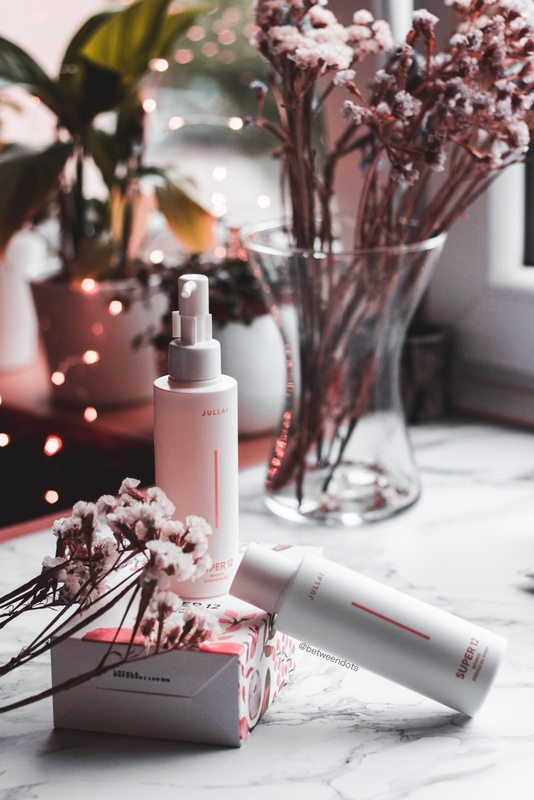 Cream and Oil are probably the products that I like the most next to Oil and Toner - they are all photogenic and ideal for the summer or early autumn. I don't know how this set will work during the winter but if you want to try something new then I'll say - go for it. The minus about these products might be white packaging so you won't see when you're out of the product. Jullai products are available on Glow Recipe. Have you ever tried Jullai? Which product seems to be the most interesting for you?